This is my all time favorite bread. 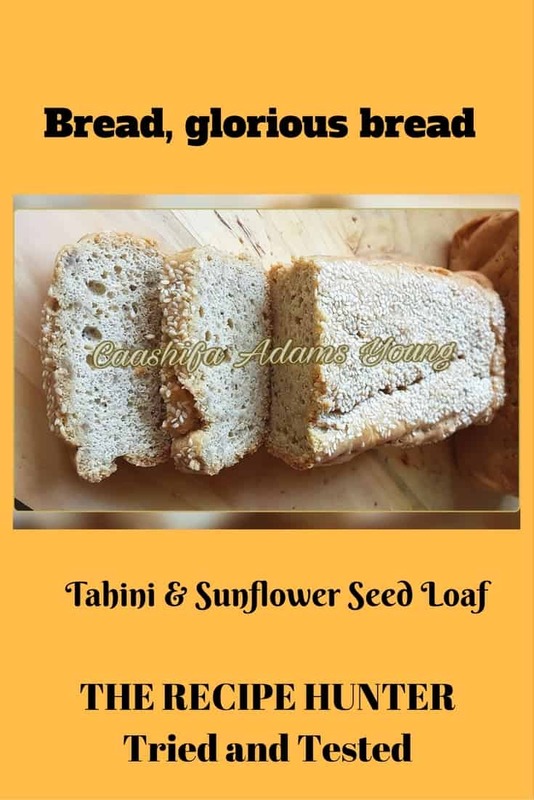 Not only is it low carb bread, but it is also gluten-free & wheat free too. I usually bake it as mini loaves but I made this for others to enjoy rather than only myself. Place all of the ingredients into a bowl and stir vigorously to combine. Pour mixture into prepared loaf tin and sprinkle the top with seeds. With the back of your slightly wet hand press down gently on the seeds so they bake into the bread. Bake at 180C for 35-40 minutes or until your loaves have risen and is firm and golden on top. I like your posts. I get recipes from Omaha Steaks. If you ever want any let me know. I would be interested. let’s discuss this some more. Maybe I can return the favor. Thank you, that will be awesome. Please drop me an email at cookandenjoy@shaw.ca and ask whatever questions you may have and I will answer as soon as possible. Once I have your email address, then I will also be able to do the invite. Looking forward to hearing from you. Awesome – let me know what you think of it once you get to this one. Caashifa does post awesome recipes to FB on my group.